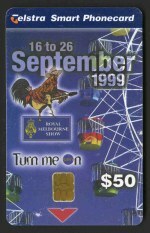 1989 Geelong, 1990 South Australia, 1990 $5.00 Generic, 1990 $5.00 Grand Prix, 1990 Queensland, 1990 Victoria, 1991 New South Wales, 1991 Western Australia, 1991 Tasmania, 1991 Northern Territory, 1991 Canberra, 1991 Red Cross, 1992 Barcelona Olympics, 1992 Australia Day, 1993 Australia Day, 1993 The Environment, 1993 Microscopic World, 1993 Landscapes, 1994 Commonwealth Games, 1994 Australian Landscapes, 1994 Lifesaving, 1994 Marsupials, 1994 Endangered Species, 1994 Christmas, 1995 Australia Day, 1995 Local Legends, 1995 International Year of Tolerance, 1995 Emergency Management Australia, 1995 Invisible Heritage, 1995 The Home Coming, 1995 Christmas, 1996 Australia Day, 1996 City-Scapes, 1996 Marine Series, 1996 Antarctica, 1996 Olympics, 1996 Transport, 1996 Tourist, 1996 Sydney 2000 Olympic Games Mascots, 1996 Christmas, 1997 Australia Day, 1997 Classic Fighters, 1997 Australian Steam Engines, 1997 Fishing in Australia, 1997 Vintage Cars, 1997 Christmas, 1998 Australia Day and 1998 Shells Phonecard packs. (48 Packs). Face Value $1,379.00. 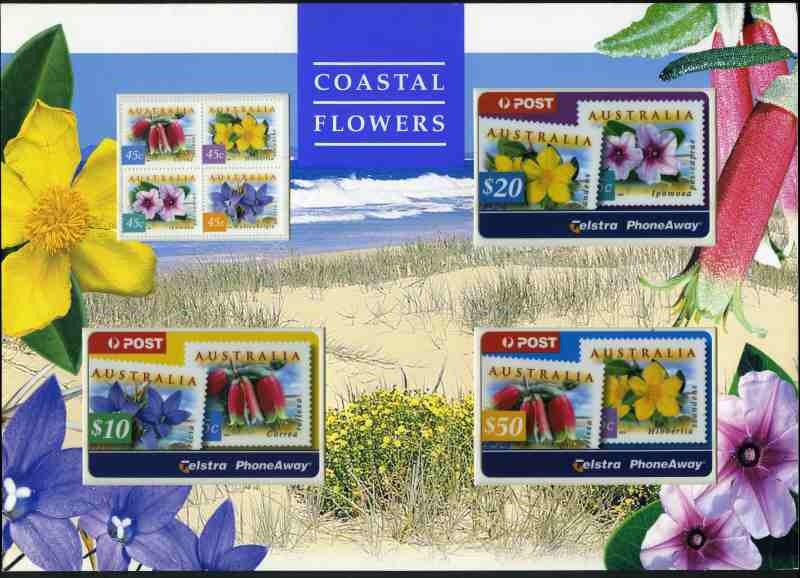 1990 $5.00 Generic, 1990 $5.00 Grand Prix, 1991 Western Australia, 1991 Tasmania, 1992 Australia Day, 1994 Commonwealth Games, 1994 Australian Landscapes, 1994 Life Saving, 1994 Christmas, 1995 Australia Day, 1995 Local Legends, 1995 International Year For Tolerance, 1995 Emergency Management Australia, 1995 Invisible Heritage, 1995 The Home Coming, 1995 Christmas, 1996 Australia Day, 1996 City-Scapes, 1996 Marine Series, 1996 Antarctica, 1996 Olympics, 1996 Tourist, 1996 Sydney 2000 Olympic Games Mascots, 1996 Christmas, 1997 Fishing in Australia, 1997 Vintage Cars, 1997 Christmas, 1998 Australia Day and 1998 Shells Phonecard packs. (30 Packs). Face Value $828.00. Also 1994 Gary Ablett (13, one signed), Tony Modra (5, one signed), Chris Mainwaring (4) and Stephen Silvagni (4) Telearch Phonecard packs. 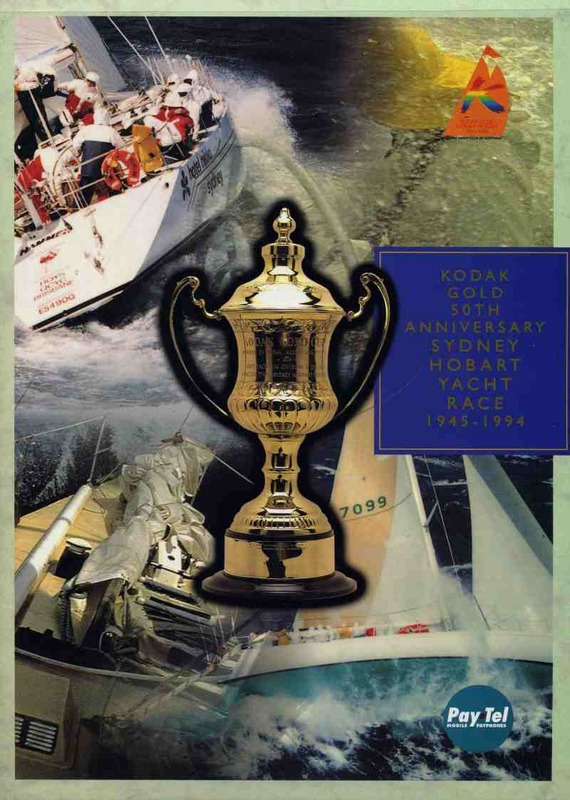 1991 Western Australia, 1991 Canberra (2), 1993 Landscapes (3), 1993 Indigenous People (3), 1994 Commonwealth Games (10), 1994 Australia Day, 1994 Australian Landscapes (15), 1994 Lifesaving (3), 1994 Dinosaurs, 1994 Christmas (3), 1995 Australia Day (6) and 1995 Invisible Heritage (2), Phonecard packs , plus 11 Custom Phonecard packs. (61 Packs). Face Value $1,739.00. 1993 Australia Day, 1994 Christmas, 1995 Australia Day, 1995 Local Legends, 1995 International Year of Tolerance, 1995 Emergency Management Australia, 1995 Invisible Heritage, 1995 The Home Coming, 1995 Christmas, 1996 Australia Day, 1996 City-Scapes, 1996 Marine Series, 1996 Antarctica, 1996 Olympics and 1996 Christmas Phonecard packs. (3 of each). Face Value $1,362.00. 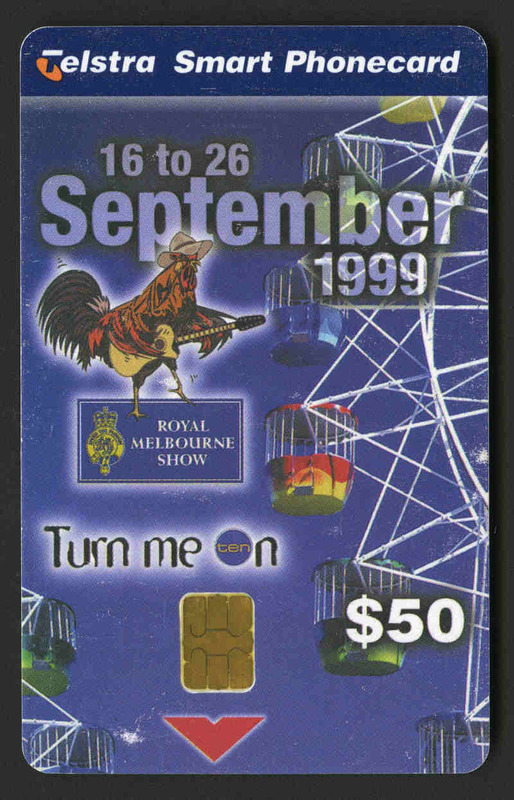 1993 Australia Day, 1995 Australia Day, 1995 Local Legends, 1995 International Year of Tolerance, 1995 Emergency Management Australia, 1995 Invisible Heritage, 1995 The Home Coming, 1995 Christmas, 1996 Australia Day, 1996 City-Scapes, 1996 Marine Series, 1996 Antarctica, 1996 Olympics, 1996 Tourist and 1996 Christmas Phonecard packs. (5 of each). Face Value $2,245.00. 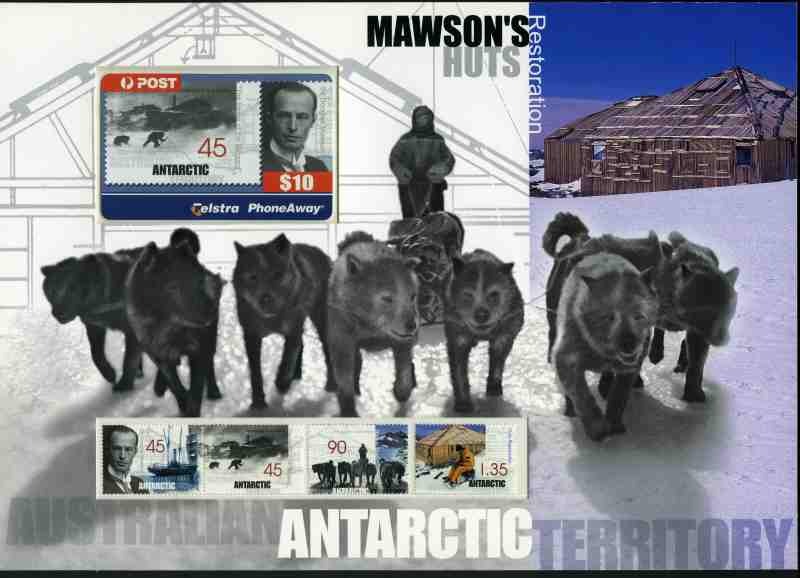 1994 Commonwealth Games, 1994 Australian Landscapes, 1994 Endangered Species, 1994 Life Saving, 1994 Christmas (2), 1995 Australia Day (3), 1995 Local Legends (2), 1995 International Year For Tolerance (2), 1995 Emergency Management Australia (2), 1995 Invisible Heritage (2), 1995 The Home Coming (2), 1995 Christmas (2), 1996 Australia Day (2), 1996 City-Scapes (2), 1996 Marine Series (2) and 1996 Transport (2) Phonecard packs. (29 Packs). Face Value $909.00. 1994-96 Coca-Cola Merry Christmas To You, Polar Bear, The 'Guy', The 'Gal', Polar Bear Having Fun Red and Gold print, For Sparkling Holidays Red and Gold print, Always Cool You Down, Ice Cold, "Style and Grace" and "Good Companions", ROAM Apollo 15 Moon Landing, Pay-Tel Sydney to Hobart Yacht Race, PACS Sydney Opera House, APP Year of the Pig, South Coast Phonecards The Laughing Kookaburra, Christie Collection The Phantom of the Opera and Disney's First Phonecards (2) and The Whoopee Party Phonecard packs. (21 Packs). Face Value $234.00. Also selection of 8 Specimen and 8 mint cards. 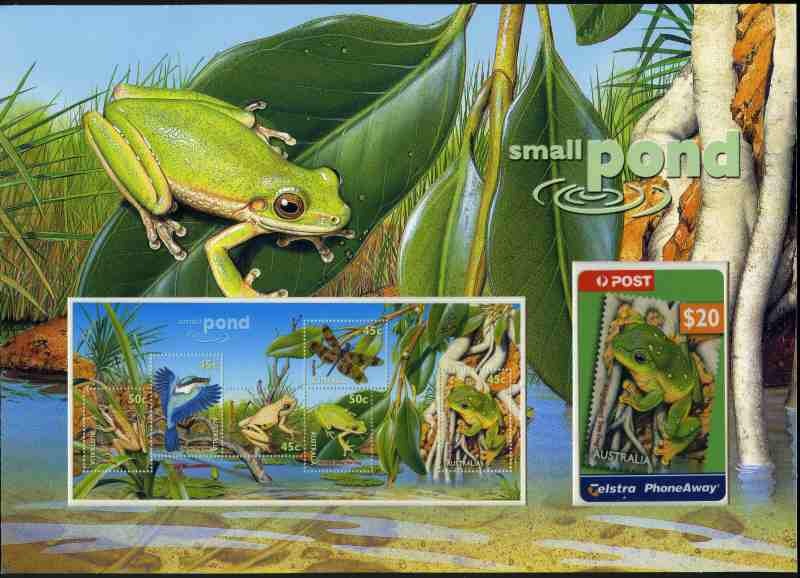 1993-94 $10.00 Australian Wood Duck (3), 1994 $5.00 Koala (2) and 1995 $10.00 Green Pygmy Goose Australian Wildlife Fund phonecard and stamp packs, plus 1998 Wetland Birds, 1998 Coastal Flowers, 1999 Small Pond, 1999 Australian Sailing Ships and 1999 Mawson's Hut Restoration phonecard and stamp Telstra phonecard packs (2 of each). Face Value $644.10. 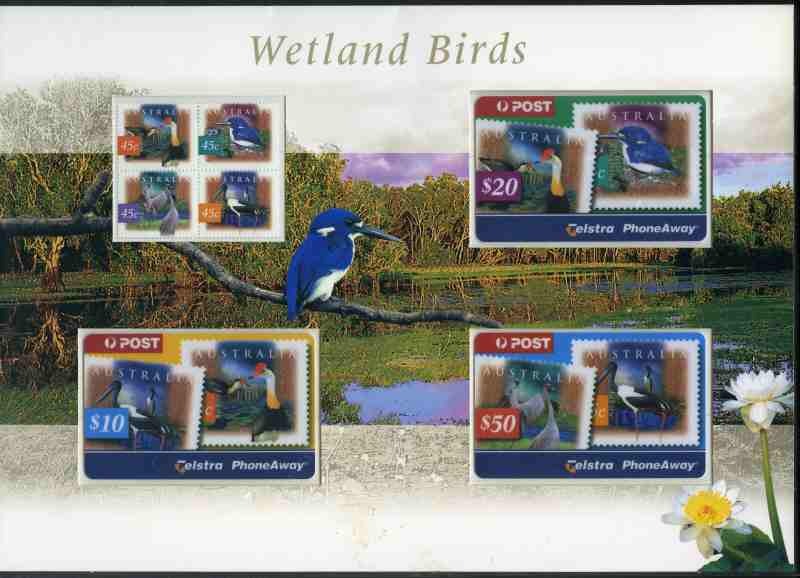 Also New Zealand 1984-1987 Post Office Year albums. Face Value NZ$93.67. 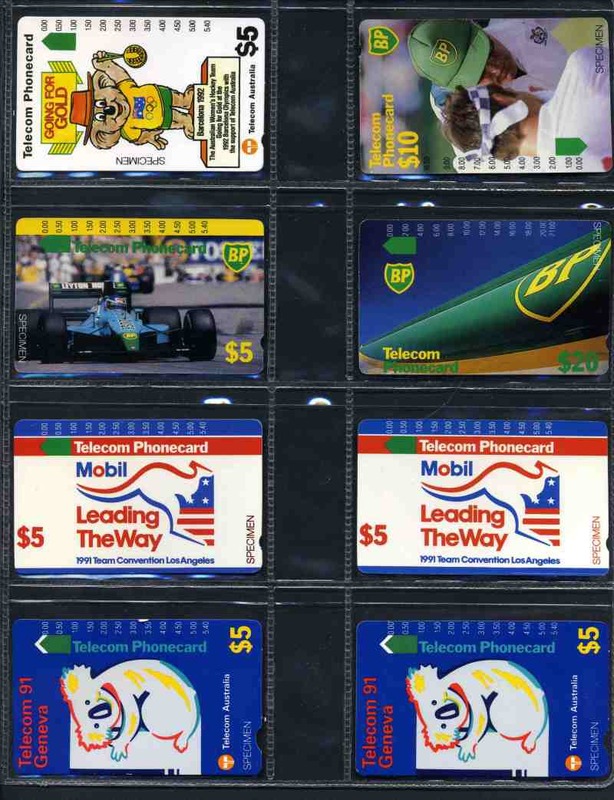 Accumulation of 2,555 used Phonecards from 1989 to 1997, including numerous sets, with good variety and varying duplication. Fine condition. Face Value $16,971.50. Collection of 136 different Foreign used Phonecards from 123 different countries including several mint cards. Collection of 120 different used Phonecards from Great Britain, Jersey and Guernsey. Many Great Britain cards mint. Collection of 83 different used Phonecards from Great Britain, Jersey and Guernsey featuring Cars and Motorbikes including several mint cards. 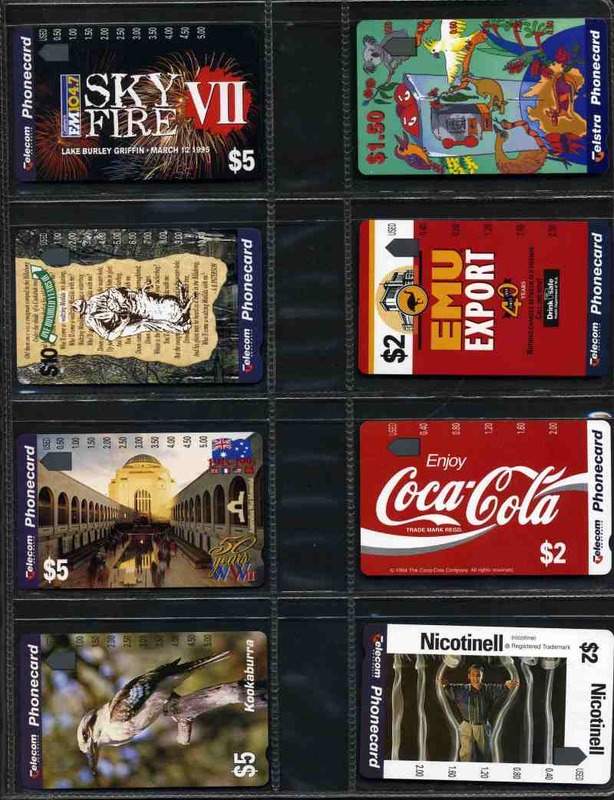 Selection of 240 used Phonecards mainly from Australia and New Zealand, including a few mint and some duplicates. 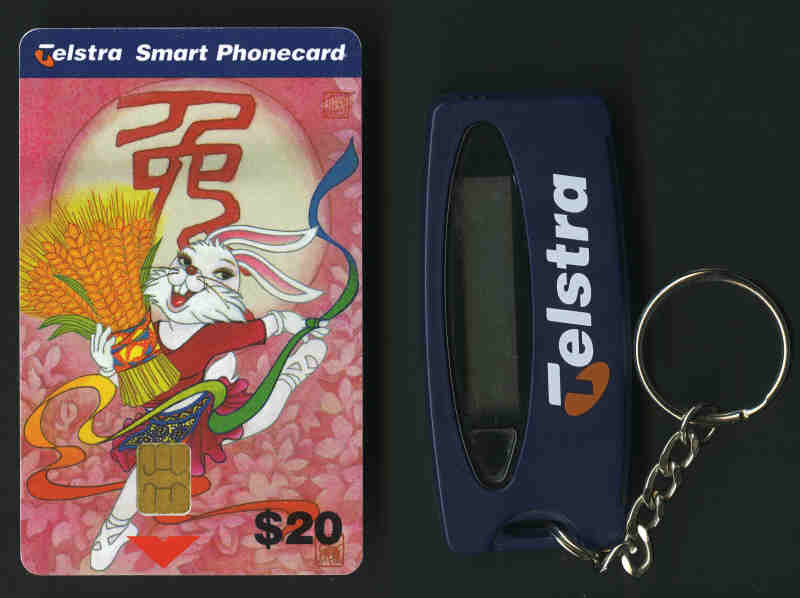 Includes 30 'PhoneAway' and 10 MobilNet Australian Phonecards (FV $1,192.00) and New Zealand National Payphones Post & Talk large unused scenic card/phonecards (17). Also 2006 Socceroo's FIFA World Cup Advertiser Medallions (22) and small box of Foreign coins. Collection of 80 different mint and used Phonecards featuring Disney cartoon characters.